Violation: polluting Palestinian agricultural lands. Location: Faris spring- Nahhalin town / Bethlehem governorate. 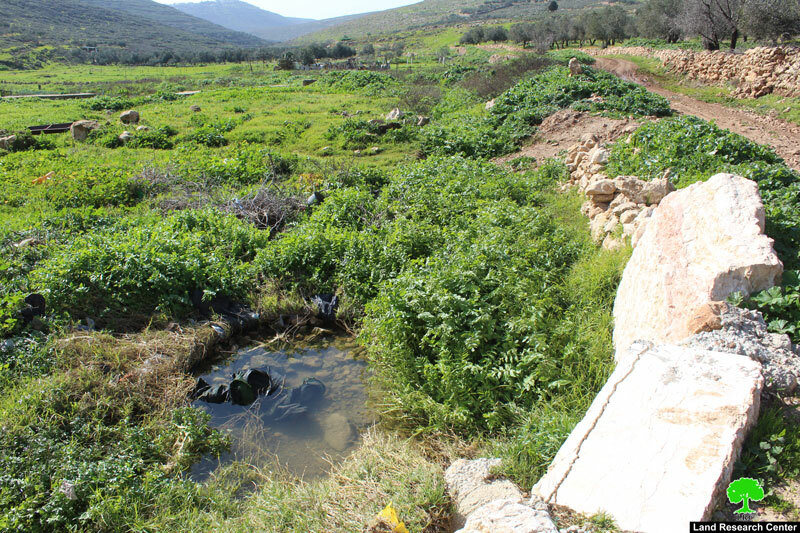 Colonists of “Betar Illit “ pumped untreated sewage water into Palestinian agricultural lands near Faris Spring in Nahhalin. 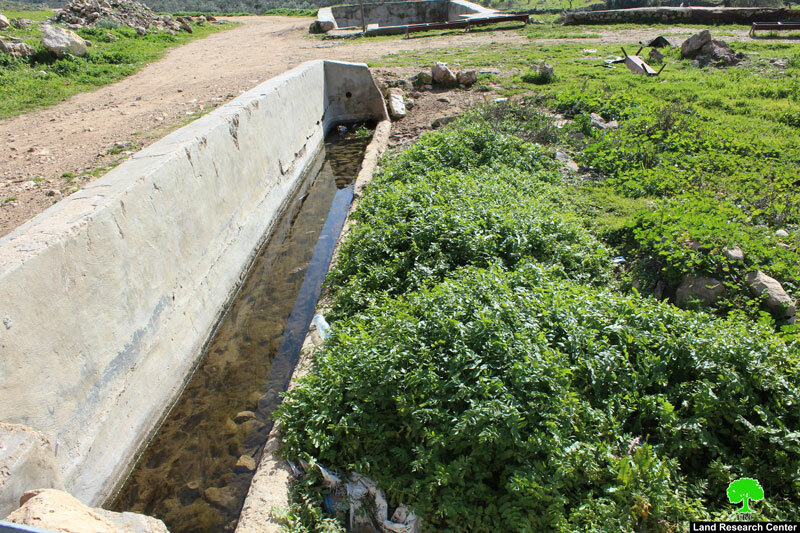 The untreated wastewater drowned 300dunums of olive and almond groves. Photo 4-7 : pollution in Faris spring. Agriculture is the pillar of livelihood and the main source of income for households in the Palestinian suburbs. Olive trees are considered an icon of giving, generosity and resilience. It should be marked that colonists never stopped polluting the Palestinian environment and destroying the agricultural sector to harass Palestinians and strike their economy. Pumping sewage water into lands is what colonists do to achieve the aforementioned. 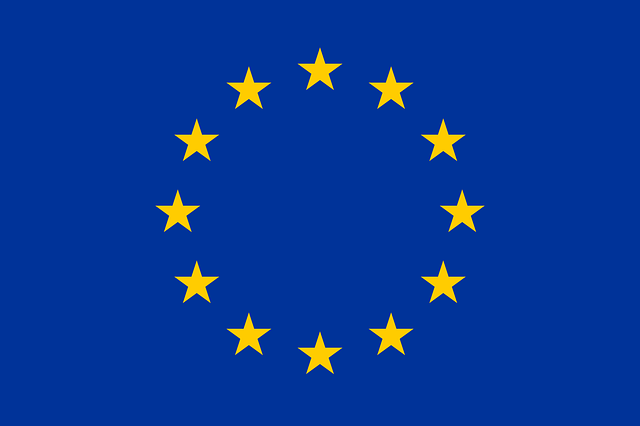 Note that sewage water contains high level of Ammonia that causes lands to become unsuitable for cultivation. It is worth mentioning that the wastewater has a major impact on the lives of the residents of the village as it forms a great ecological and environmental threat to the village and is laden with health hazards. 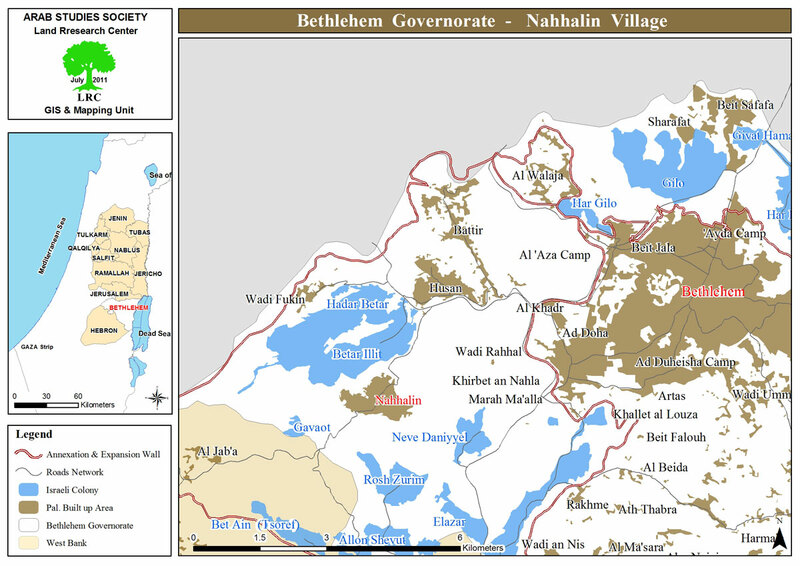 The village is located 10km to the south west of Bethlehem and 3.5 km to the east of the armistice line of 1949. The village&apos;s total area is 18,858 dunums including 890 dunums of built-up area, inhabited by8741 people according to the PBS statistics of 2017. 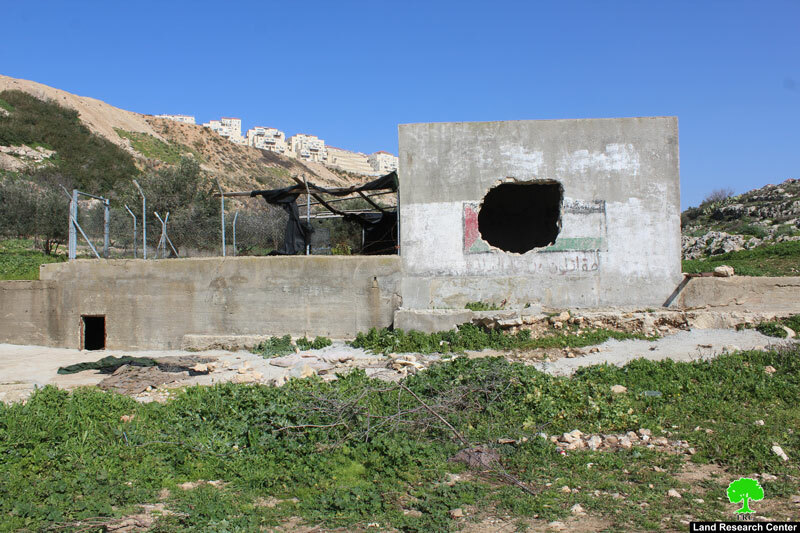 Israel has confiscated 4,283 dunums from the village lands 3,583 dunums of which for colonial expansion purposes and 700 dunums for the favor of bypass roads. There are 8 colonies founded over the village lands namely (Beit Ein, Tsoref, Majdal Oz, Jabot, Kfar Etzion, Efrat, Illit, Rosen Tsurem and Allon Shevut).